Here’s another work by Ichikawa Kei! 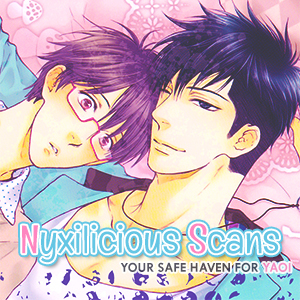 It’s a one-shot, though but a lovely story nonetheless :) This is a joint project with Must Be Endless Scans. They’re a newly made sc group, so be sure to say your thanks as well! Thanks for the hard work, guys! ^_^ And, because this is another one of Libre Shuppan’s, no download link as usual. Be sure to remember by now that we do not provide download links for any Libre Shuppan productions and we’d like to stay it that way.